No cons here just an excellent product from an excellent company. The watermelon taste is great, though its not as great as amino x from BSN. I like that it has glutamine added into it though, not many do. In my opinion this is one of the best BCAA products out there. The taste is awesome and doesnt get all foamy like others I have tried. It has a great profile with the right BCAAs and electrolytes and you got to love that is also includes Citrulline Malate! Plus the price is right Baby! let me start off by saying . the taste is AMAZING ! its like drinking a green apple jolly rancher . i sip on this stuff while i workout to make sure im getting all the bcass i need to keep me going in the gym , my recover time between sets is faster than it would be without this stuff . a need to try product ! I love the electrolyte component to this stuff. Pretty good value. I tried a few flavors and they all taste really good. The taste is so strong that you can mix one scoop with 32 oz of water and it still tastes fine. I'm all for anything that helps reduce soreness. This is by far my favorite intra-workout drink! It taste great and gives you that boost to push through a hard workout. Thanks again to TheSolution and 1Fast400 for sending a tub of the new Strawberry Mango Xtend. Xtend is by far the best flavored BCAA product on the market, and Scivation continues to deliver with its latest flavor release. PERFECT 13g in a single scoop! Props Scivation for being on point with scooper! I'll start off this flavor review by saying that my favorite flavor of Xtend currently is Mango Nectar and closely followed by Pineapple. These two in my opinion are way ahead of the others, but flavoring is also personal preference so some of you may dispute the top two flavors. Instructions say mix with 8-16 oz of water. So I started with 8 oz and increased to 12, 16, and finally 20 (I like a full shaker when working out!). In 8oz of water, the strawberry flavor is quite pronounced and the mango flavoring is rather subtle. As you increase the water content (still only with one scoop of the powder in the shaker), the sweet fruity strawberry flavor starts to lessen and the mango flavor begins to take over, resulting in a very similar flavor to mango nectar, though with the hint of strawberry on the finish. Overall, EXCELLENT job on the new flavor of Xtend by Scivation, and I could easily sip on this stuff all day long without suffering from palate fatigue! Great job guys! Thanks again for allowing me the opportunity to try this! good dose of 100- 150 mg.
Definitely dose Theacrine at 100mg minimum. I've had it included in various pre workouts at 25-50mg and didn't feel a thing. Then, I tried ATP Kinetic which has 100mg theacrine, and you can definitely feel that it packs a little extra juice. Great pre workout and supplies everything you need immediately preceding a workout. Honestly one of my top 5 pre workouts. Love the stuff. Scivation recently released two new flavors of Xtend, blood orange and strawberry mango. Thanks to The Solution and 1Fast400 for hooking me up with a tub of the blood orange flavor to try. Mango was my favorite flavor before the new ones were released so when I saw the new strawberry mango flavor I decided to buy a tub. Xtend delivers 7g of high quality bcaa in the well studied 2:1:1 ratio plus citrulline malate, glutamine, and electrolytes. 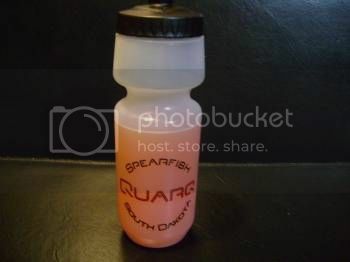 For me, the electrolytes really help with hydration and quenching my thirst. A lot of brands offer bcaa products that taste good, but the aminos are low quality or are only present in small amounts meaning you need multiple scoops to get the proper dose. With Xtend, you get both high quality and great taste. 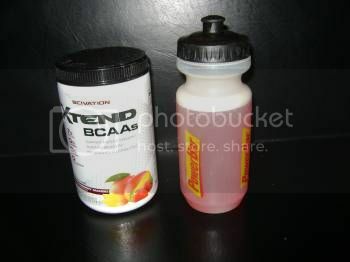 Xtend is the best flavored bcaa product on the market. I haven't found a flavor I don't like. Mixability is great. 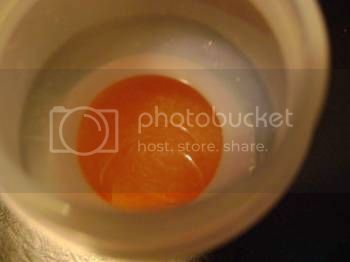 Here's the blood orange mixed with cold water. Just a few shakes and its mixed. The strawberry mango had a small amount of foam when first mixed, but it disappeared quickly. I found that both flavors hold up well in 20 ounces of water. (I've used more and it still tastes good.) The label recommends less water, but for me the flavor is too strong with the recommended 8-10 ounces. The strawberry mango flavor is very good but its a sweet flavor. I get a strawberry flavor with a mango finish. Still, one of my top 6 flavors of Xtend. As for the blood orange flavor, Scivation hit it out of the park with this one. Really tastes like a blood orange. Very refreshing. This is my favorite Xtend flavor by far. Previously I had mango and pineapple at the top followed by blue raspberry and strawberry kiwi but blood orange blows them away. The overall smell of this product makes your mouth water. It smells just like opening a bag of dried pineapple pieces. As usual, the Scivation team and The Solution hooked me up with samples of other flavors, a new shaker, and a funnel!!! Basically the Layne Norton protocol - every 4 hours in between meals (only where I would not be eating a meal in that 4hr block). Some days I will eat a meal at work around 2 or 3 and I leave at 4:30 but don't get home until 5-5:30 and no dinner until about 6-6:30 so I will have a dose of XTEND around 4 or 5 in between meals. I use this stuff like crazy, utilizing the Layne Norton protocol for in between meals. I have definitely noticed recovery benefits. I have been eating slightly over maintenance caloric intake, about 200cals, and I can really notice the benefits of XTEND. Seems like my level of soreness/fatigue has gone down since adding a fair amount of BCAA dosing in my daily routine. That doesn't mean that Fruit Punch is the worst, but that I would purchase them in that order. ALL flavors were exceptional. Next on my list is to try out the XTEND GO for the benefit of BCAAs + Caffeine/Theanine combo. of my homemade PW concoctions. Thanks to TheSolution and 1Fast400 for sending me a tub of Tangerine Xtend to try. The powder itself is white inside the tub. When mixed, it takes on an orange hue. Mixes almost instantly. I like to use 16-20 ounces of water and some ice cubes for the best flavor. Blood orange was my favorite Xtend flavor before trying tangerine. (I think the only flavors I haven't tried are green apple, lemon lime, and pink lemonade.) Does tangerine steal the crown from blood orange to become the best tasting Xtend flavor? No, I'd still put blood orange at the top but tangerine is excellent and I highly recommend it. Its sweeter than blood orange but not overly sweet. Still very refreshing. Its an authentic tangerine flavor. Probably moves into the number two spot for me, slightly ahead of mango and pineapple. Each scoop of Xtend provides 7g of bcaa (2:1:1 ratio) along with citrulline malate, glutamine, and an electrolyte blend and it tastes great. How can you go wrong? Edit: Ignore this post, the actual review is below. Fist, a big thanks to TheSolution and 1Fast400 for sending me a tub of Xtend Blood Orange as well as some samples of Black Cherry Xtend Perform (which I have already bought 2 tubs of and love), an awesome shaker bottle, and a handy supplement funnel. I am using the Blood Orange flavor, and, simply put, it’s delicious. I don’t think I’ve ever actually had a blood orange, but I have read about what they’re supposed to taste like (it’s hard to describe; perhaps a less acidic orange), and this Xtend flavor fits that bill very well, with a nice orange flavor that isn’t overly acidic at all. It is quite strong but still definitely drinkable in 8oz water, not quite as strong but still pretty strong in 12oz, and still pretty flavorful and enjoyable in 16oz water. It’s definitely something I enjoy drinking, even if was just for the flavor and not the ingredients/profile (discussed later). I haven’t tried mixing it with many other supplements yet, but I did have 1 scoop with 1 scoop of Orange PowerMax XT, and it was delicious, and the same can be said for mixing it with ~40g carbs from Orange Gatorade powder in 16-24 oz water; I’m sure it’ll mix well with a variety of other products and flavors too. Mixability is great. So far I have mixed it in a shaker bottle (with a ball), and it quickly and easily completely mixes with a few seconds of shaking (1 scoop in 8, 12, 16, and 24 oz water), as well as with 8-12 oz in a glass with a fork, where it still mixed completely and easily. I didn't notice any residue floating on the top or any annoying foam on the top, sticking to the sides, etc; it mixed as well as you could hope for really. The basis/backbone of this formula is 7g of BCAAs in a 2:1:1 ratio, which provides 3.5g leucine. Personally, I find leucine is definitely the most important BCAA in this context, and want at least 3g leucine, so this fits the bill. I typically tend to take EAAs with added leucine (3g+), and may still end up adding a little bulk EAA powder to Xtend for intra-workout use, but we’ll see. Xtend also provides 2.5g of l-glutamine, which is a nice little bonus; my view on regular l-glutamine (as opposed to l-alanyl l-glutamine) is that it’s more of a general health (gut health, immunity, etc) supplement, but there’s nothing wrong with that, and can certainly be useful for athletes who train a lot. There is also 1g of citrulline malate, which is a pretty low dose, but it’s not really a vital part of the formula, so it’s not like it’s a deal-breaker. I suppose it could help sustain a pump throughout your workout since most people take some pump/endurance ingredients pre-workout, and I don’t really see a need for another full dose of citrulline in a BCAA product, as it would likely bring up the price without providing much additional benefits for people already taking a pre-workout. I actually haven’t used this product at the gyms many times yet, as I’ve been very busy with mid-term exams this week, but it has come in handy during long days and study sessions. 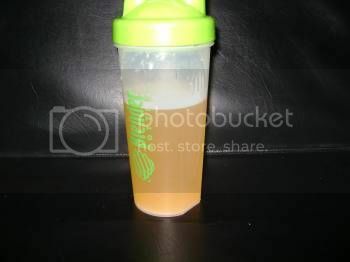 With that said, I do have experience using BCAAs intra-workout, and find that they do seem to help me sustain performance during workouts, reduce soreness, and also seem to help me make continued progress, especially when combined with intra-workout carbs (I like to use Gatorade powder). This is consistent with my experience with Xtend so far, and I have enjoyed using it during my recent workouts. Tried almost every flavor of the line and the mango is indeed my favorite! Lets start by saying this, I have been taking xtend almost uninterrupted for the past 3 years out of my own pocket...thats how much I like it. Id rather have a tub of xtend than a tub of protein powder to be honest. Flavor: Have tried green apple, lemon lime, the one orange flavor and a couple other ones. Im ADDICTED to the green apple flavor although its usually the most expensive which is why I opt for lemon lime some times, also to keep the green apple flavor fresh in my mind. Effects: THIS is why I keep taking it. My physique just gets better while taking this and working out. Hell I can even just run or just do yoga for weeks while eating well and taking this and ill see recomp effects. Bonus: It is my stable flavoring agent for my kratom drinks. The green apple flavor actually mixes well with the tea flavor in kratom to create this tart apple tea flavor I LOVE. This is one of the few supps id actually give a 5/5 other than straight hormonal anabolics and maybe a couple of the newer natty sups that have emerged recently. The flavoring to the effects, Xtend is truly the king! Wow'd by the variety of flavors they have. I ran through like 7 of their flavors with Mango being my favorite! Additionally, the profile speaks for itself. Going with the most studied 2:1:1 ratio with 7 grams of fully disclosed BCAA's is a leap compared to most brands. Easily one of the best tasting product I've had. Definitely tastes like Mangos (trust me, I love them). When you take a sip, you get a nice burst of flavor and then it slowly fades. Not a super strong aftertaste, but that can also be a plus because there is zero chemical aftertaste. Tried 1 scoop with 8 oz, and 2 scoops with 19-20 oz. Both mixed perfectly. No clumps or residue. 2:1:1 ratio which from what I've read considered one of the better ones for BCAAs. I definitely do feel a bit less sore. I think it definitely helped my recovery and performance (pre workout).